ACS712-5A Current Sensor is used to measure the intensity of current. It contains ACS712ELC-5B chip, based on Hall Effect. You should protect it from influence of magnetic field when using it. 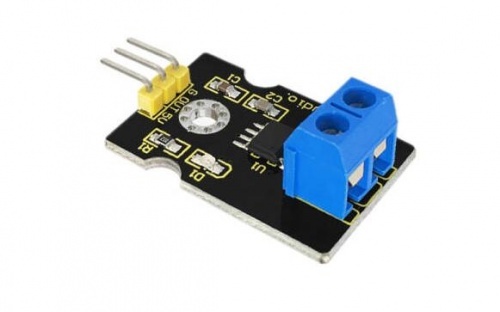 This module can detect 5A positive and negative current,corresponding analog output at 185mV/A. In order to display data conveniently, add I2C LCD1602 Module. 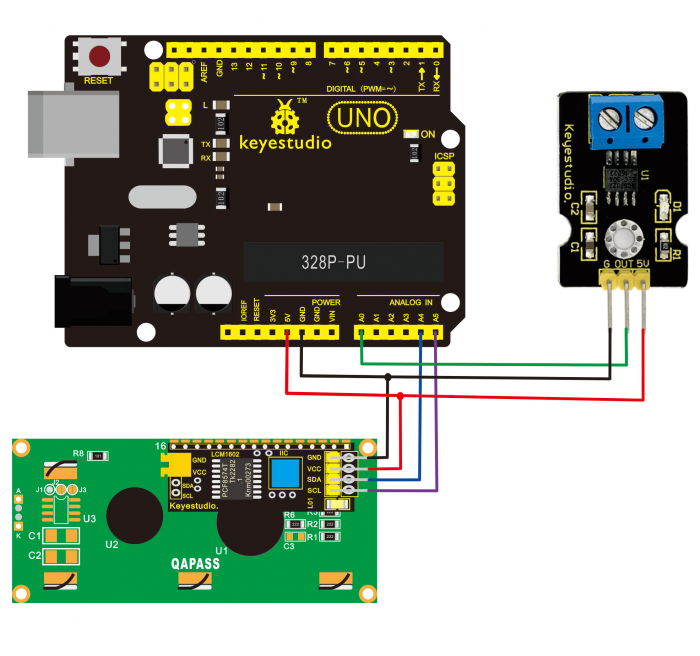 Then upload program and connect wires. After plugging in power, LED on this sensor is on and I2C LCD1602 Module displays the current intensity shown as below.